He’s all about rules. She’s all about breaking them. 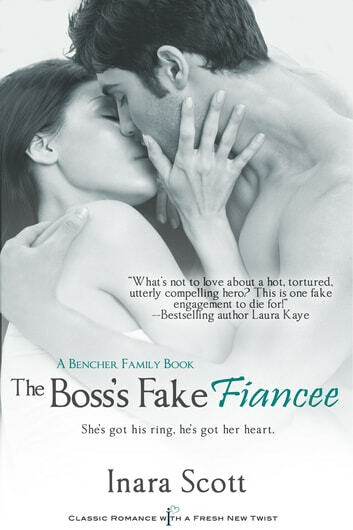 No relationships, that’s billionaire Garth Solen’s rule—especially not with a woman like his new employee Melissa Bencher, who thinks with her heart and not her head. But all bets are off when one impulsive act has people thinking they’re a couple. To protect his ailing grandmother’s feelings, Garth is willing to play the part of Melissa’s adoring fiancé for a while. He’ll try on rings and pose for the paparazzi as long as the boundaries of the game are clearly defined. One month as an engaged couple, and then they part ways. Cheesy characters. Crappy plot. Predictable. Waste of time and money. Most of all-horribly written. The ' author' of this piece of trash should hang her head in shame. Great story l just ws expecting a more dramatic ending, though the epilogue was enough consolation. Loved it! I enjoyed it very much. Nice story line. I particulary liked Garth little mystery about his life.